Many people like coupons and coupons are definitely an effective sales tool. So are rebates. And unlike the grocery store check-out line, there’s no waiting in electronic check-out lines. One of the benefits of using coupons to promote your products and services is that you can place printable coupons right on your website. You can also offer cash rebates on your products in the same way. Some shopping cart systems, have a coupon module that generates coupons and discount links. These discounts are automatically applied at check-out when someone gets to a site by clicking on one of these links. When clicking on one of these links, customers are taken to check-out and the coupon or rebate information automatically populates the proper discount fields. This little step is also a time-saver, so customers will be doubly appreciative. People like to get good deals on the things they buy. 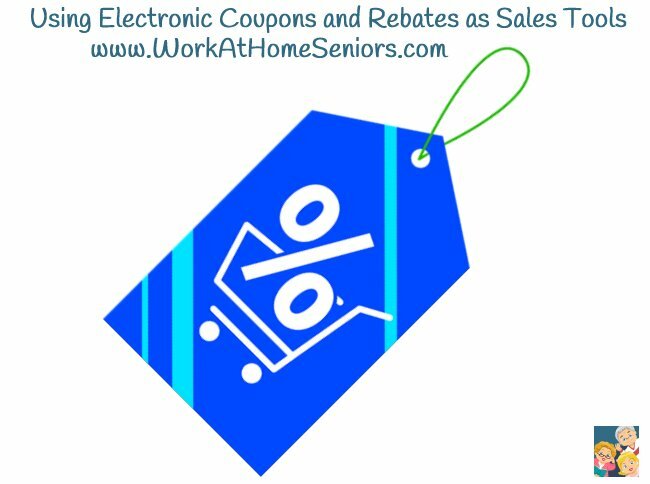 Using electronic coupons and rebates is one good way of doing this. And, as a bonus, some people shop specifically for discounted products, so if you are known as a merchant who gives coupons from time to time, you’ll be on the “watch list” of these bargain shoppers.